This year’s Grassland & Muck Event – being held May 24th and 25th at Stoneleigh, Warwickshire – will see the UK public working debut of the new Fastrac 8000 Series tractor. It will be the first opportunity for many to see the new Fastrac 8000 Series tractor at work. Available as the 228kW (306hp) Fastrac 8290 and 260kW (348hp) Fastrac 8330, the new design represents a significant increase in performance with heavy draft equipment, demanding pto-driven implements and heavy trailers, tankers and spreaders. 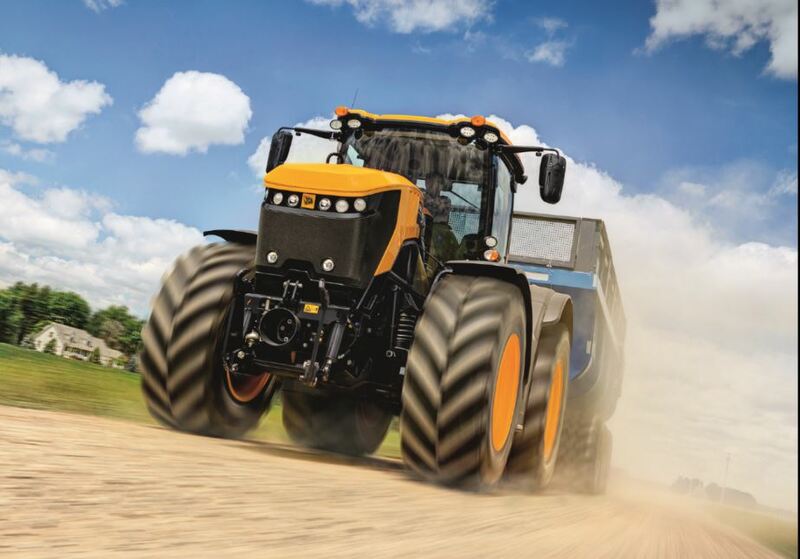 The Fastrac 8330 has 24% more peak power output and 10% more torque channelled through its multi-mode CVT transmission. 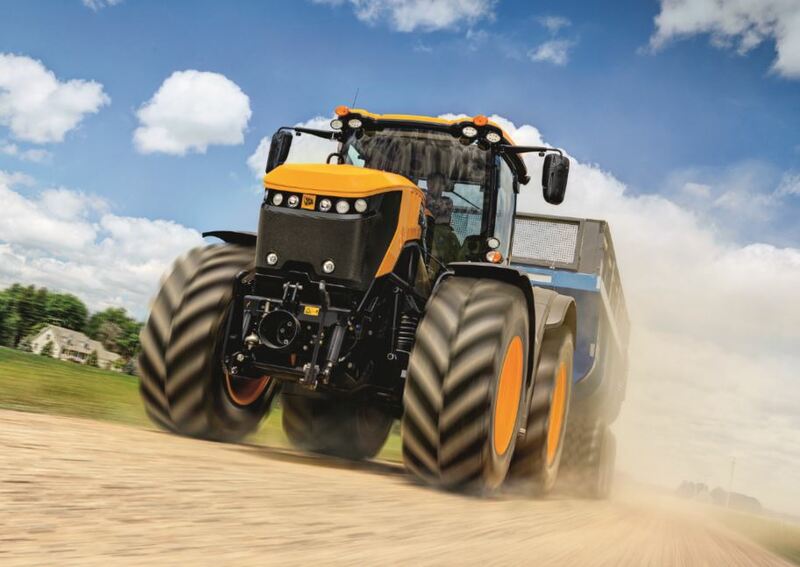 New features include a unique dual circuit hydrostatic steering system – another ‘first’ for the Fastrac – and JCB Rapid Steer when the tractor is equipped with satellite guidance for precision hands-free bout matching. Operators are treated to the new, more spacious Command Plus cab, which provides space, comfort and practicality in abundance, with deep door glass and side windows, and wide lower windscreen glazing, providing good visibility all round, as well as natural ventilation through the opening rear three-quarter windows. The JCB LiveLink telematics system is standard on the new Fastrac 8000 Series tractors, providing valuable location and operating information, as well as proactive service scheduling, remote fault finding and anti-theft features.